VTO Archives - Build the Brand. Protect the Brand. Our employees have a long history of recognizing how important charity and volunteering is to our communities. 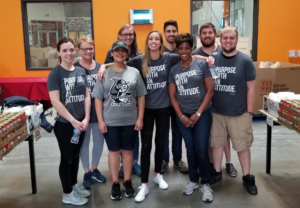 And while giving money to worthy causes is important, we made it clear that we wanted to be in the thick of things, and actually have the chance to volunteer our time as well. 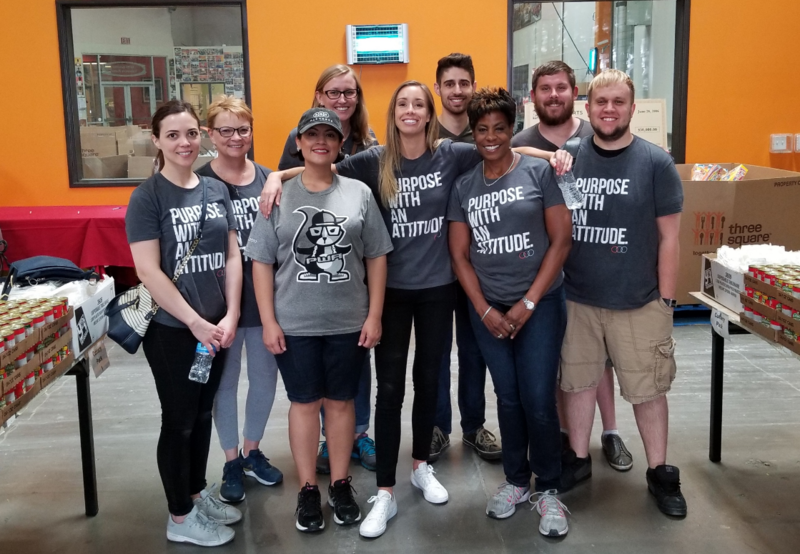 This prompted our People and Culture department, along with the R&R Partners Foundation, to roll out an initiative encouraging R&R employees to use up to 40 hours of extra paid-time-off time to perform volunteer work within our communities. This time-off can range anywhere from personal interest programs to company-sponsored initiatives. The only limitations are our imaginations and, of course, that the work is done for a 501(c)(3). This particular visit, our volunteers helped with the Backpack for Kids program, which provides food to children who are hungry in our community. And boy, did we help! Our volunteers packed 4,260 meals that will provide kids enough food to eat through the weekend. Think about that: In the three hours we were there, we helped feed 4,260 kids! We’re very fortunate that we’re given the opportunity from our employer to go out and volunteer in the community. But then again, that’s what R&R is truly all about—serving with a purpose and attitude.